The October – December StampThat class schedule is now ready! I’m excited to see all the great projects we are going to be making in the coming months! 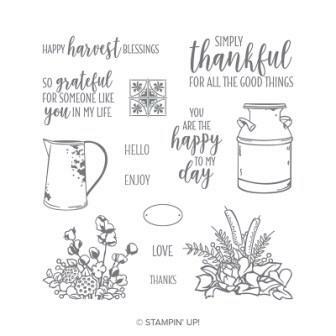 Tuesday, October 2, 1:00 OR 6:30 P.M.
Tuesday, October 9, 1:00 OR 6:30 P.M.
Thursday, October 11, 1:00 OR 6:30 P.M.
We will be creating exclusively with the Country Home stamp set. You will make 5 cards in this class. When: Tuesday, October 9, 1:00 OR 6:30 p.m.
It’s time to start getting a little more serious about getting ready for Christmas. Let’s begin by making Christmas tags. These will be great to use on the gifts you will make/purchase OR you may find it fun to give these away for a friend to use! We’ll tuck the tags into some fun packaging so they’ll be fun to keep or give. Tuesday, October 16, 1:00 OR 6:30 P.M.
Monday, October 22, 1:00 OR 6:30 P.M.
Tuesday, October 23, 1:00 OR 6:30 P.M.
What better gift is there to give than a tin full of handmade cards? This class will include making 10 all occasion cards (2 each of 5 designs) to help you begin fill your red distressed card tin. This is a great gift! Tuesday, October 30, 1:00 OR 6:30 P.M.
We’re off to a good start with Christmas Card making. Let’s face it, there are some special people in our lives that need an extra special Christmas Card. We’re going to Step It Up with these cards so you can send them to the extra special people in your life. We will make 5 cards. Thursday, November 1, 1:00 OR 6:30 P.M. I will have several gift options available, each costing $8.00 – $18.00. You can choose which gift(s) you would like to make, making how-ever-many you like. Please pay $5.00 in advance to hold your place for the class, then we will deduct that $5 from your balance at the end of class, once you’ve made what you like. Thursday, October 30, 1:00 OR 6:30 P.M.
Tuesday, November 6, 1:00 OR 6:30 P.M. This is one of our favorite classes during the Christmas season! Dress up those boring Gift Cards with some fun packaging! We will make 5 gift card holders. Thursday, November 8, 1:00 OR 6:30 P.M.
We love handmade ornaments at the StampThat Studio! They’re beautiful on the tree, and they also add a special touch hanging from beautifully wrapped packages! Join us to make 4-5 special ornaments! 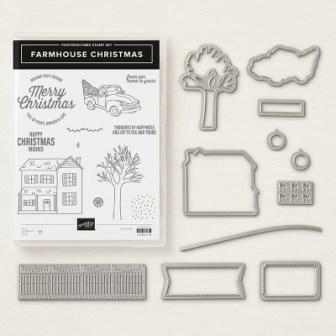 Tuesday, November 13, 1:00 OR 6:30 P.M.
We will be creating exclusively with the Farmhouse Christmas stamp set. Those who choose, may include the Brightly Lit Christmas stamp set and coordinating Farmhouse Famelit Dies with the class for a reduced class price. You will make 5 cards in this class. When: Tuesday, November 13, 1:00 p.m. OR 6:30 p.m.
Tuesday, November 27, 1:00 OR 6:30 P.M.
Tuesday, December 4, 1:00 OR 6:30 P.M.
Thursday, December 6, 1:00 OR 6:30 P.M.
You have a special gift to give, let’s make the packaging special too! We will decorate some gorgeous gift bags with extra special coordinating tags for your Christmas gift giving needs! Tuesday, November 4, 1:00 OR 6:30 P.M.
Thursday, November 6, 1:00 OR 6:30 P.M.
We will be creating exclusively with the Winter Woods stamp set. 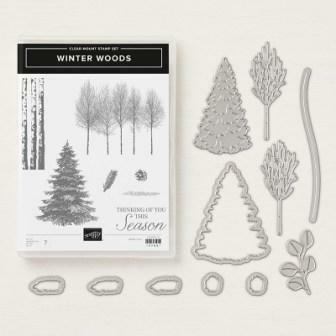 Those who choose, may include the Winter Woods stamp set and coordinating In the Woods Framelits Dies with the class for a reduced class price. You will make 5 cards in this class. When: Tuesday, December 4, 1:00 p.m. OR 6:30 p.m.
Monday, December 17, 1:00 6:30 P.M.
Thursday, December 20, 1:00 P.M.
Thursday, January 3, 1:00 OR 6:30 P.M. When: Tuesday, December 18, 6:30 p.m.
We will be creating exclusively with the First Frost stamp set. 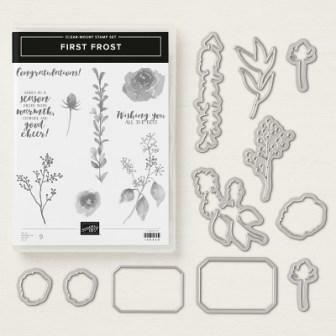 Those who choose, may include the First Frost stamp set and coordinating Frosted Bouquet Framelits Dies with the class for a reduced class price. You will make 5 cards in this class. When: Tuesday, January 8, 1:00 p.m. OR 6:30 p.m.